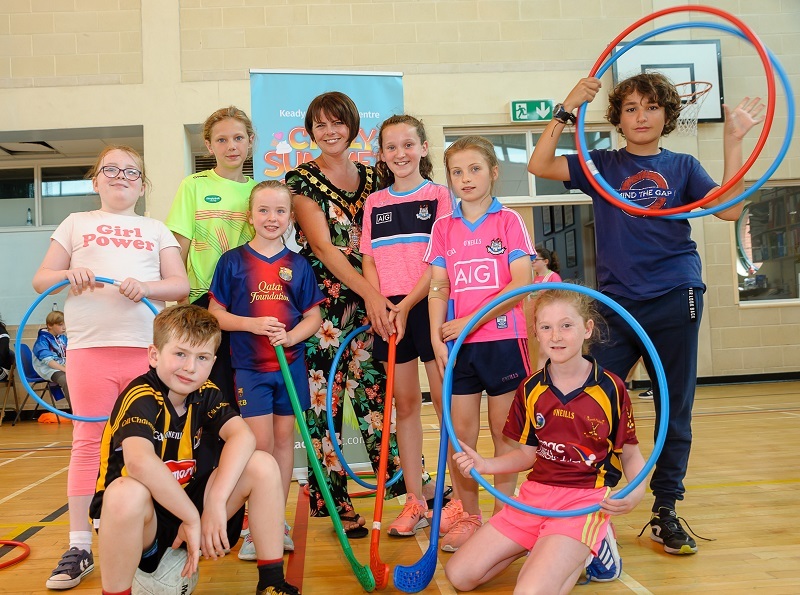 The Lord Mayor, Councillor Julie Flaherty recently visited the Crazy Summer Schemes taking place at Tandragee and Keady Recreation Centres. The fun filled Summer Schemes started at the beginning of July, with between 60 to 80 children attending daily and will continue until Friday 24 August. The children are taking part in lots of action packed fun activities including soccer, tennis, badminton, basketball, arts & crafts, dance and many more. The children are also enjoying exciting day trips organised by each Centre, such as Loughgall Country Park, Slieve Gullion, Jumpbox, Cinema, and a few more. Specialist coaches from the Active Community Coaches Programme are working with the Summer Schemes and are delivering a wide range of sports and activities over the 8 weeks period. The summer schemes are supervised by qualified staff. Early bird, half day and full day sessions are available at affordable prices with savings for weekly tickets purchased. Places on the summer schemes are limited. A place is guaranteed when you register and purchase a weekly ticket in advance. Alternatively, there’s a daily drop in facility, however, it is on a first come first served basis and places are not guaranteed.